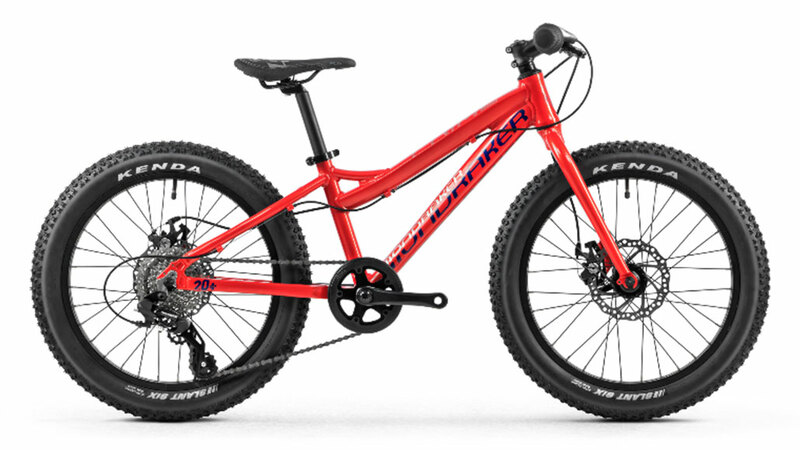 Mondraker’s children’s bikes offer the perfect entry into the world of real mountain biking. All bikes share the DNA, attention to detail and trickle down technology from the world’s most innovative mountain bike company. 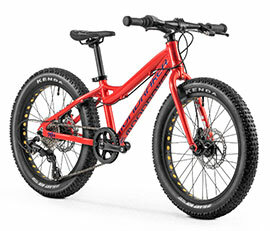 Components are chosen to give young mountain bikers the best of current technology tailored to suit smaller riders needs. 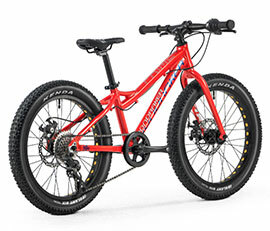 There is no better way to for new riders to start their mountain bike journey with a range of bikes thoughtfully put together to give a safe and inspiring launch point. Brand new for 2018 the Prime 20+ features an aluminium frame designed around larger Plus wheels and tyres, giving confidence inspiring grip.